You are busy with work, family and shopping for the Holidays. Now you have a lot of presents but no time to wrap them. We can help take the stress off of your holidays by wrapping your presents. Give us a call and let us know how many presents you have. Make an appointment to drop them off, tell us who gets which present and when you need to pick them up.We will professionally wrap your packages with name tags for Christmas if that is the occasion and have them ready for you to pick up. If by chance you do not have boxes for your gift, that is an extra service we can provide you with. Most of the time you can have your wrapping done the same day. Our schedule changes all the time, so please call ahead. Need your gift shipped out of state? We can do that too. 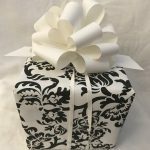 Gift wrapping starts at $6.00.